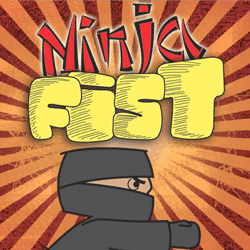 Ninja Fist is a brain-busting puzzle strategy game. Over 60 levels of challenges in 3 exotic worlds. Navigate the ninja-verse and return the ancient scrolls to their rightful owner. Chute Apps developed this strategy game for both iPhone and Android. This is one of our first game releases, watch for more titles in 2013.